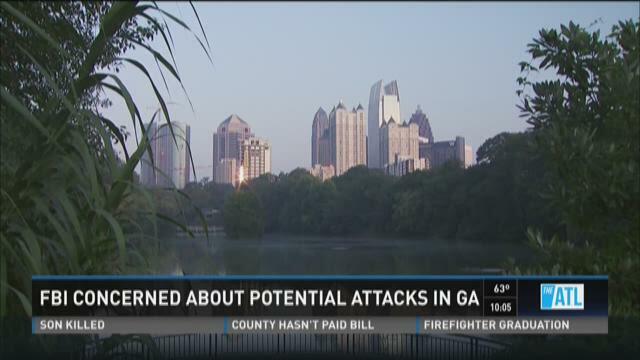 ATLANTA -- The FBI in Atlanta said there is no specific information that ISIS is targeting this state, but Georgians need to be more aware of things going on around them. A new video released on Monday by ISIS warns of attacks on the United States. Britt Johnson, the Special Agent in Charge of the FBI in Atlanta said public awareness is more important today than ever before. "We have not received any specific information that there is a plot emanating from abroad specifically targeted at Georgia," he said. "But I think after seeing recent events (Paris) it definitely makes us much more concerned." The FBI's Joint Terrorism Task Force monitors potential threats from ISIS and its sympathizers. "There's definitely individuals in Georgia that we have cases on and that we are concerned about," he said. "More along the lines of individuals who have likely been listening to the propaganda and become self-radicalized and are showing indicators that are concerning." He said Paris should be a reminder to all of us to stay vigilant and report anything that looks or sounds out of place.